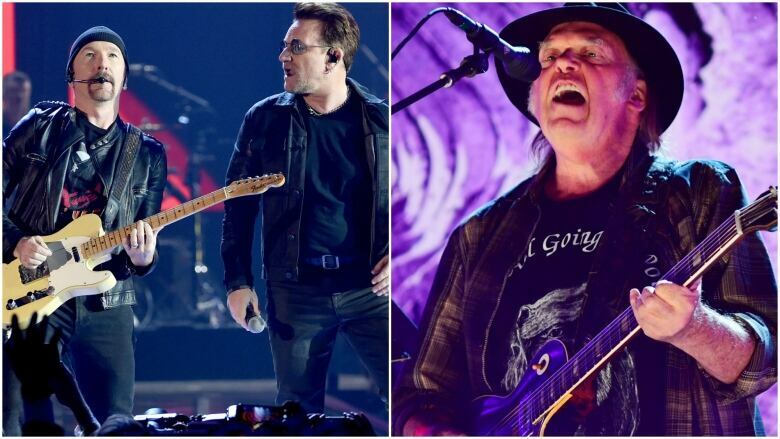 Are U2 and Neil Young still capable of putting out great albums? q This guests Angeline Tetteh Wayoe and Stuart Berman discuss new albums from U2 and Neil Young. Every week, q This looks at new releases from music's biggest stars. Today, guests Angeline Tetteh Wayoe and Stuart Berman will look at two new albums from rock's greatest veterans, U2 and Neil Young.